The Sun illuminates the surface from the right, but topographic shading is difficult to see because of the strong contrasts in brightness of the surface materials. 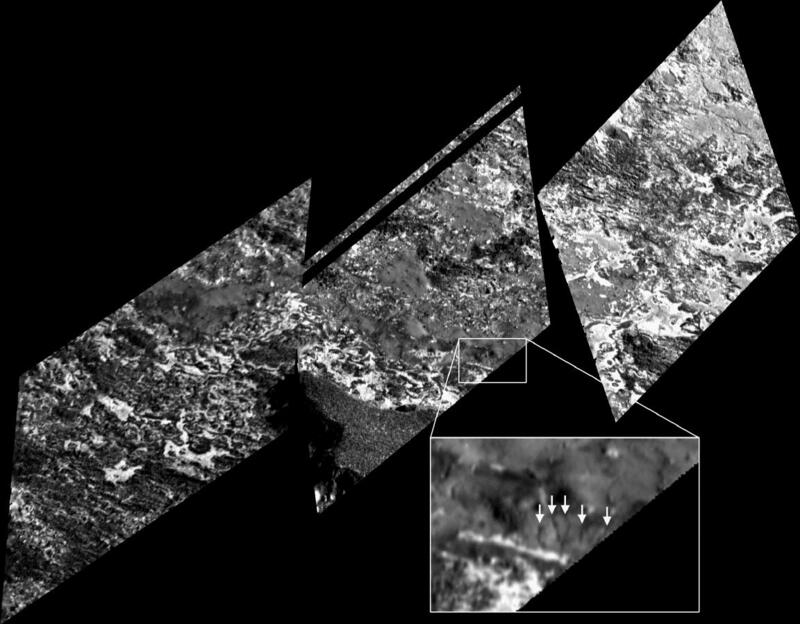 A raised promontory at the bottom of the center image casts shadows into the lower right corner of the left image. Galileo scientists estimate that the promontory is up to 400 meters (one-fourth mile) high. The surface is quite varied in appearance, ranging from smooth patches of material to the much rougher top of the promontory. 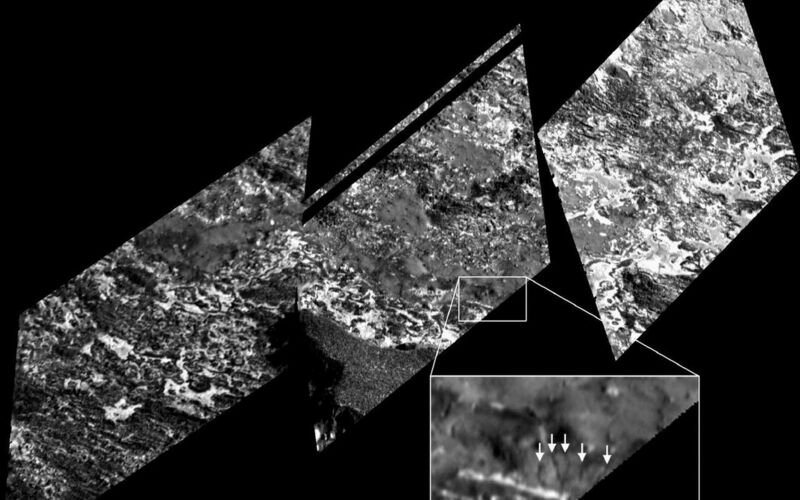 In places, layers of bright and dark material appear to have been exposed by some process of erosion. Sublimation of sulfur-dioxide-rich substances, their transition from solid to gaseous form, may also play a role in the segregation of bright and dark materials. Several intriguing, narrow, channel-like features about 10 meters (11 yards) wide and a few hundred meters (yards) long can be seen. Arrows in the inset indicate some examples of these. These features may provide evidence for springs of some liquid, probably a sulfur compound rather than water. The Jet Propulsion Laboratory, Pasadena, Calif. manages the Galileo mission for NASA's Office of Space Science, Washington, D.C. JPL is a division of the California Institute of Technology in Pasadena.